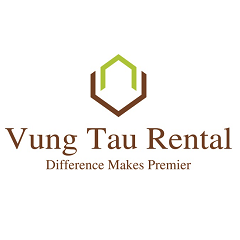 Vung Tau Rental Agency would like to give the tenants the villas for rent in Vung Tau on July 2013. 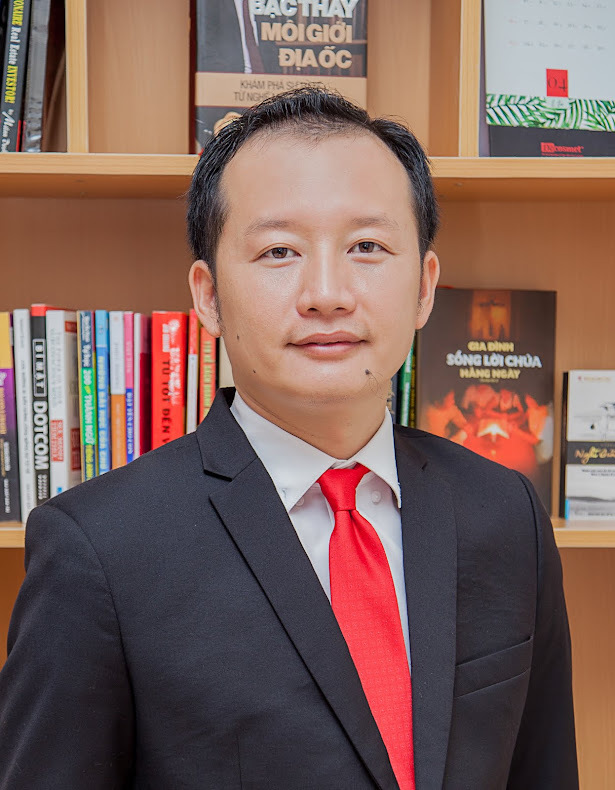 Please contact us for all information you want to rent a home in Vung Tau city. - The villa is modern designed and fully furnished, large and comfortable living room with high quality sofa and furniture, big kitchen and dining room. - Located in quiet and peaceful area, 5 minutes walking to Back Beach, close to 5 star convention center and hotel. - Cozy and classic villa, fully furnished. - Quiet and peaceful area, easy to go to restaurant, bar and beach, satellite TV and high speed wifi internet. 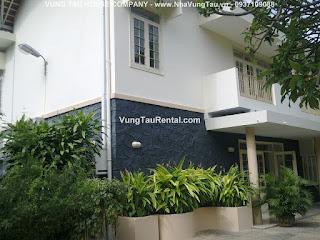 - Villa located in the Back Beach, 4 minutes by walking to the Beach, almost foreigner living here. - 6 bedrooms, fully furnished, suitable for the company have many officers. - Big kitchen and dining room with large table and more than 10 chairs. 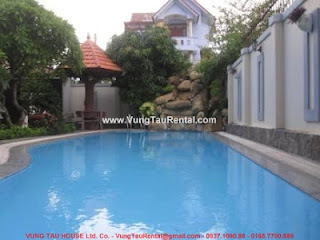 - Big garden and spacious swimming pool, make a comfortable living space for you. - This Villa located in the Back Beach, 5 minutes by walking to the Beach, quiet and peaceful area. 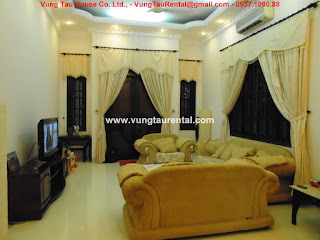 - Cozy living room is connected to dining room, 1 big bedroom as 1st floor, fully furnished and cozy design. - 3 more spacious bedrooms in 2nd floor with comfortable and nice furniture, has shower and bathtub also. Big terrace to get sea breeze at top floor for sitting or barbecue. - 4 spacious and nice bedrooms, large and comfortable bathroom and bathtub, nice view from balcony to villas area. Front of house has small nice garden. - The villa for rent is modern Europe style with impressive design. 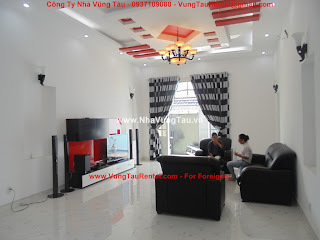 3 main colors white, black and red, that makes the villa more luxurious. - Master bedroom is large with queen size bed, big closet and nice jacuzzi in the bathroom. 2 more bedrooms are nice and comfortable with modern furniture. Detail: - The house has nice garden and aquarium in front of house, big swimming pool in the back and large garage. - Nice living space, fully furnished, modern kitchen with wine bar, oven. - 3 bedrooms are very nice, comfortable and spacious. - The house is located in quiet and peaceful area, nice view balcony, close to Back Beach. - 2st Floor has 3 nice bedrooms, modern and spacious master room, nice bathroom, 2 rooms in the terrace for exercise or laundry room. - Nice and Big garden with small water-fall, garage. 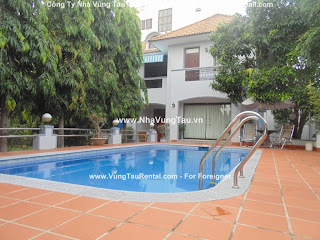 - Located in Vung Tau city center, easy to go anywhere in Vung Tau city, quiet and peaceful area. - The house is fully furnished, nice and opening living room and kitchen. 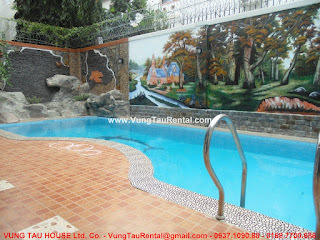 - Located in city center of Vung Tau city, easy to go anywhere, quiet and peaceful surrounding.